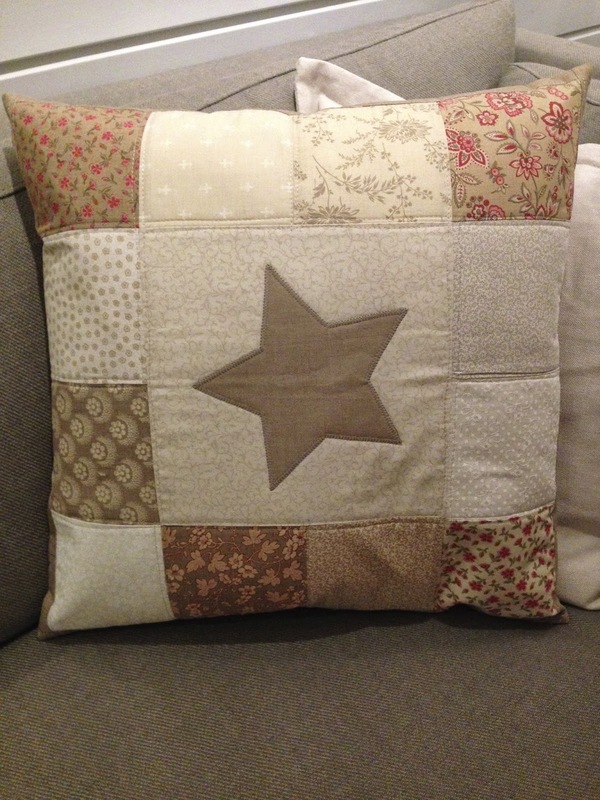 I have finished another cushion and this time it is for a dear friend of mine. Design Lise/ Kreativ Quilt. Fabric are scraps from my merry merry snowmen project with French General. My friend asked me to take less red in her next cushion but I find that the red make the cushion glow. Don´t you agree. See picture under…. I have also made her the cushion in my next picture.You can find the pattern on Moda Bakeshop here.Theese 2 cushions will go very well together on her new sofa. 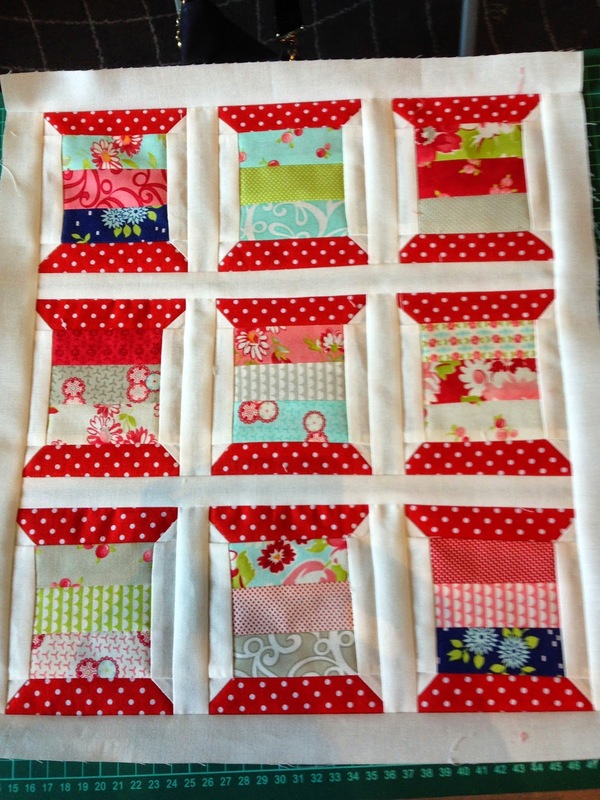 This is my minispool quilt made in Camille Roskelley´s class at Gardermoen a few months ago.Unfortunately it turned out very wonky so I will never finish this quilt but I intend to make another one safe home in my own sewing room. My iron might be a bit kinder to me and my quilts… To bad though !! Have yourself a lovely weekend quilting. I will try to finish 10 yards of binding. Lovely work Anne Marie. The 2nd cushion's design is very effective. Shame about the spools but perhaps it would be a good one to donate to a charity? It would be a shame to waste it. Looks great! The top one! You're so right! Very interesting! Hello Anne Marie...lovely cushions there! Nothing wrong with the wonky spools....I saw some patchwork once and it was called WonkyHouses!